Alex J. Cavanaugh (AKA Ninja Captain Alex) has created a fun blogfest for us to share our favorite movie, band, TV show, or book that no one else has probably heard about, so we can tell the world (or at least the blogosphere) about our Underrated Treasures. Sign up and check out the other participants' treasures HERE. 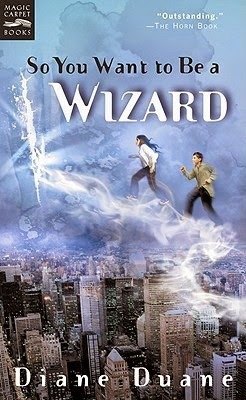 The Young Wizard series by Diane Duane is like a dark, more urban version of Harry Potter. It’s for young readers, but it’s written in such a way that adults can enjoy it. The science in these books, as well as the magic, is so amazing it blows my mind. I adore this book because I love whales, and a whole sea of characters are in this story from whales to a dolphin and a shark. This book involves Nita’s little sister, Dairine, a computer geek after my own heart. And it takes place on a planet across the galaxy. 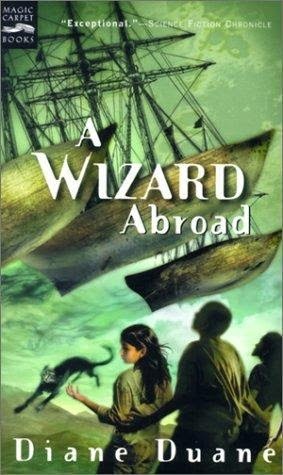 Here is another one that I adore because it’s set in Ireland with Irish wizards. The fifth book is one of my favorites of the series because Nita’s mother is diagnosed with a life-threatening illness and Nita races to save her. This one is mostly in Kit’s perspective (the other main character), and a new character is introduced, a young boy who is thought to be Autistic. If you like aliens, this is a pretty neat story set in an alien planet where Nita and Kit vacation for spring break. At the same time, three aliens are sent to earth to stay with Dairine, Nita’s little sister. 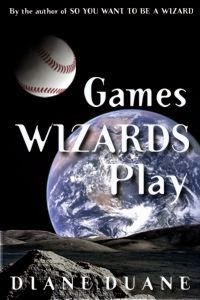 In this epic book, all the wizards on Earth and across the galaxy are fighting to save the universe. The ending gets me every time. EVERY! TIME! The latest book is a fun story set on Mars. I’ve always been a buff when it comes to the other planets in our solar system, so I enjoyed this one a lot. 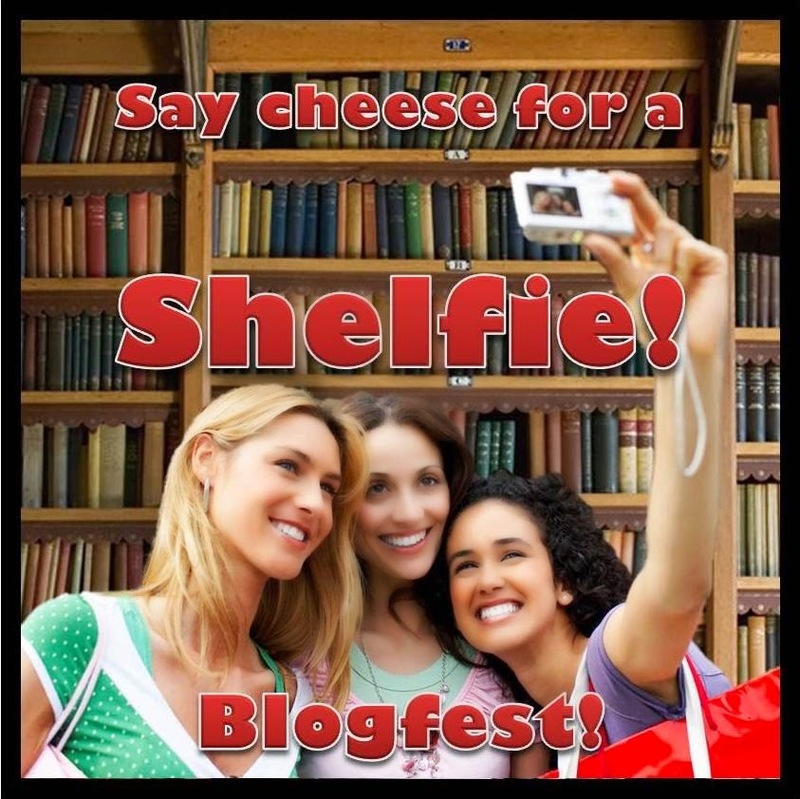 You have until Monday, October 6th to post a picture of your shelfie! Enter the giveaway HERE after you post your picture on your blog, Facebook, or Twitter. Then let one of these fabulous people know: Heather M. Gardner, Christine Rains, Vikki Biram, CD Coffelt, M.J. Fifield, Elizabeth Seckman, and Rena Rocford and they'll make sure you're down for the prize and some kudos! QUESTION: What is your favorite underrated movie/band/TV show/book? I've never heard of The Young Wizard. Guess I've lived a sheltered life. Thanks for sharing the series in such depth. First I've ever heard of it. Wow, quite the series too it looks like. haha cats also love to sleep on top my shelf. This looks like a great series. I have a ten-year-old who might be interested. I can't get her to read the Harry Potter series because she's seen the movies and already knows the plot. The two books on top look a bit furry. 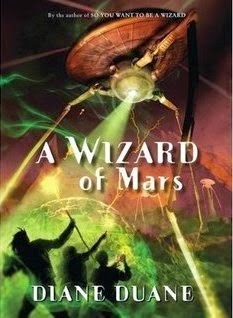 A Wizard of Mars. Now that one I have to check out. Thanks for participating in my blogfest! 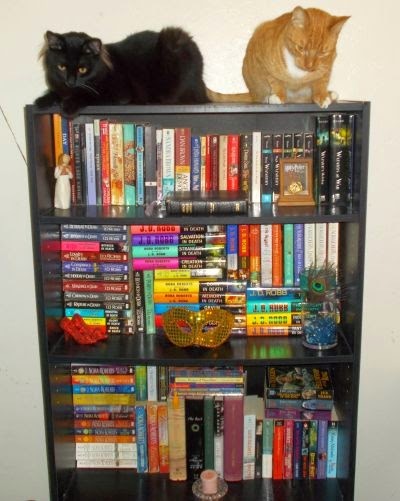 Love your bookshelf...especially the cats on top! I had never heard of this book series--it sounds interesting! I've not read anything by this author. Thanks for sharing about these books for the Underrated Treasures Blogfest. I like your shelfie! She's not widely known, which is why her series was perfect for this blogfest. :) Thanks, Susanne! Looks like a great series for a young reader. Too bad my children are all grown up. Your shelf is so neatly arranged. I've not heard of this series. Thanks for the recommendation. Your bookshelf looks like a twin of mine! Those books remind me a bit of the Narnia series, which I read so long ago (and also watched and taped the old PBS adaptations of). I LOVE those books! Great choice. interesting share... 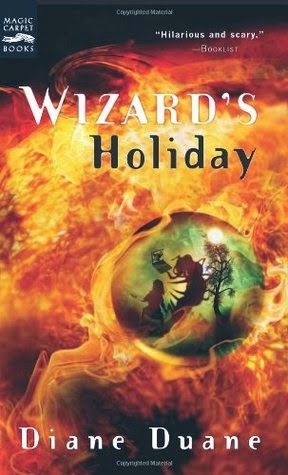 I am not familiar with this series, looks like it could be fun for those who love wizards and more. Looks like a great series. It's nice you have an actual book shelf. I had to do a digital shelfie. OMG, there are a lot of those young wizard books. And you read all of them? You must be a true fan. WOW that was some post, most enjoyable and interesting to read. also thanks for joining my followers. Those look like amazing books. Thanks for letting us know about the series. Thanks for turning us on to Diane Duane. She sure has written a ton of books! And that's a cute cats-on-the-bookshelf picture. Yes, this is really interesting saga of Diane Duane! Sounds like a good series. Must see if my library have them. They might have them at your library. I hope you can find them, Jo! Wow, this series has been going on a long time. I can't believe that as a fantasy fan -- and former fifth grade teacher (25 years) -- I've never heard of it. Thanks for sharing! I can't believe how long it's been since the first one was published. Like Dianne writes: I cannot believe I haven't heard of this series. You visited my blog so you know what my underrated favorites are. I think I have found a new favorite: MADAME SECRETARY: a former CIA analyst who is dragged into being the Secretary of State and learns the prior secretary was murdered. There is something lethal behind the scene at the White House! So you like wizards Chrys. But I prefer your JD Robb and Nora Roberts collection. I'm with the cats! She did!!! I'm so happy that you know that, Although I haven't read them. I like the theming behind those books. Someone was a genius. 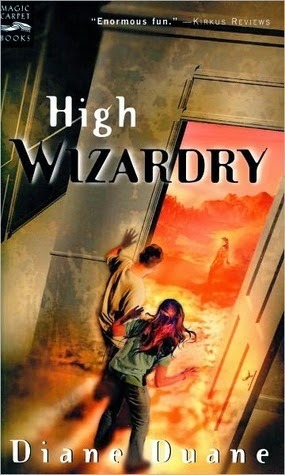 I like wizardry books, and those suggestions look interesting. 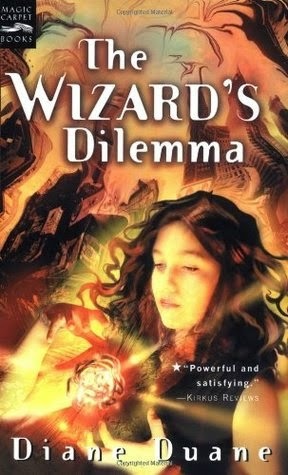 I like the idea of the female wizard too, for a change, like in Harry Potter. Thanks for the follow, too. Nita is awesome! I love her as a character. Where No One Has Gone Before is loosely based on Diane Duane's Star Trek novel, The Wounded Sky. Diane is well known in trek circles, she also wrote Spock's World which on average has a four to five star rating on Amazon. Great selection for the treasures fest! Diane Duane is amazing. Great pick. The Games Wizard's Play. That's hilarious. Thanks for the intro. Never heard of these books. I love that title, too. You're welcome! Wow, I've never heard of this book series, I'm embarrassed to admit. Shouldn't I have been reading it as a kid back in the day? Thanks for letting us all know. The premises of each book sound crazy fun! I was lucky to find the first book when I did. I was then able to read each one as they came out, which is quite a while between each book. I have not read these books but my brother has read most of them. They look great. I somehow missed these books. This is the first time I'm seeing them. I have not read these books but I want to read them badly now. They are going into my TBR pile. I will check them on Amazon. Thanks for introducing me to these books. They sound wonderful. There are probably a few hidden YA gems out there. :) Thank you! 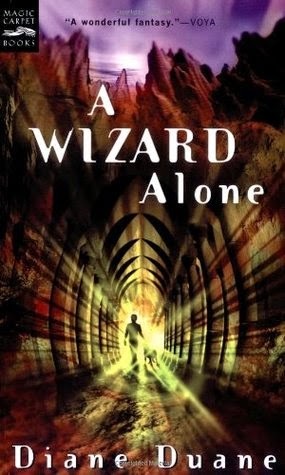 The Wizard series boasts 10 books! Wow. They have amazing cover images too! Your shelfie is really cool! I love the covers, too. So artistic. Aw, kitties! What a fun way to discover a new, great book---can't beat sparks. Thank you so much for sharing this. I never heard of this series, but I want to get to know it now. Also, thanks for stopping by my list. Chrys, this author is so prolific and sounds incredibly creative and gifted as a storyteller. I will share the link to this post with my teenage son. I think both he and I will enjoy many of Diane Duane's books. Thanks for sharing! Well, I liked Harry Potter very much. I might as well give this series a try. love the sound of this wizard series! how fun! and thanks again for joining in the shelfie fest! Sounds like an interesting series! Thanks for sharing your picks. 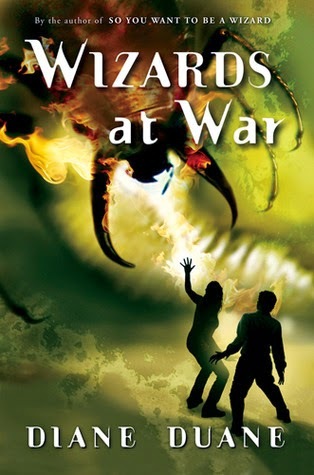 I did read the first book in this series and enjoyed it. But I never read on. It's hard to keep up with all the series because there are so many good books out there. Thanks for sharing it. I haven't heard of this series but will have to take a look now! 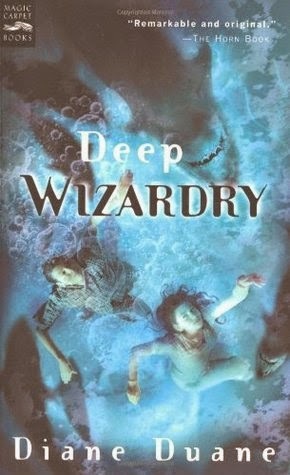 My favourite underrated books are, strangely, supposed to be rather well-known in their genre but I don't know of anyone who has read them: The Woman Warrior by Maxine Hong Kingston and The Song of the Whales by Uri Orlev (granted, one children's writer I know does in fact know about this author, and she's the only one). Okay, I haven't heard of this series either, but it sound fabulous! I'm definitely going to have to check it out.